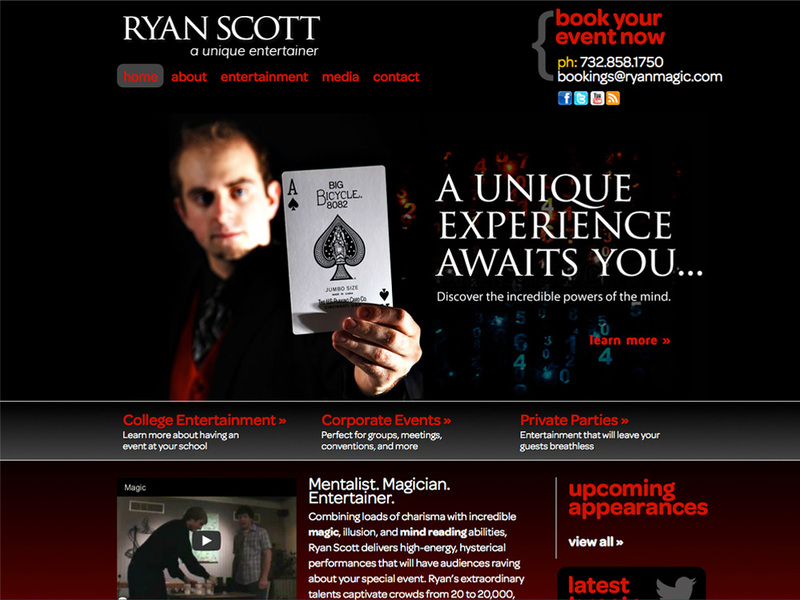 Splendor created a custom WordPress website for Ryan Scott, a magician/mentalist who performs at colleges, corporate events and private parties. Laced with magic, mind reading and hilarity, his shows captivate crowds of hundreds and even thousands. The website showcases his upcoming events, booking info and gallery of images/videos.